Government shutdown or not, it’s all about the Benjamins this week. Starting Tuesday, the Federal Reserve will start distributing the long-delayed new $100 bills to banks. Since the central bank isn’t funded via Congressional appropriations, there won’t be any further delays distributing the new bills, even with the shutdown dragging into its second week. 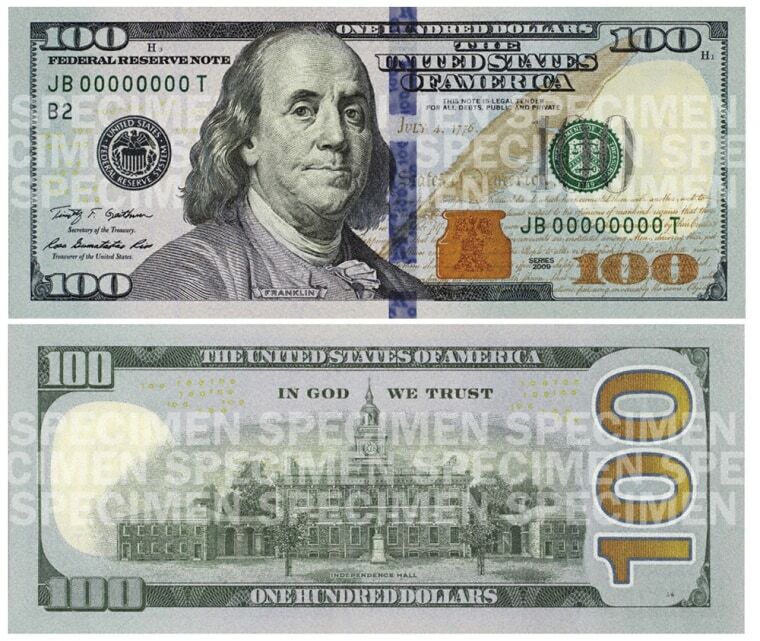 The new $100 is the bill’s first redesign since 1996, when Ben Franklin’s head got bigger and a watermark was added. The design was announced in 2010 and is intended to thwart counterfeiters with bells and whistles like a 3-D blue security ribbon, ink that changes color from copper to green, and gold “100s” on the front and back. The colorful new design also has thrilled collectors of paper money, some of whom are willing to pay big bucks for new bills with unusual serial numbers. But these new features are harder to manufacture, leading to production delays that pushed back the bill’s debut by two years. And at a cost of just under 8 cents apiece to produce, the new bills aren’t cheap. Bank orders for $100 bills will be filled with the new design starting Tuesday, but it still could take a while before they start to turn up in cash registers and ATMs. Unlike the central banks of some other countries, the Fed doesn’t pull old designs out of circulation when a new one comes along, so banks with a cache of pre-makeover hundreds on hand will use those first.